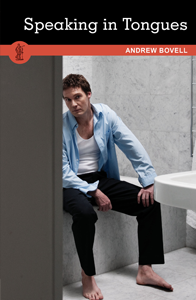 Andrew Bovell is an award-winning writer for theatre, film and television. His AWGIE award-winning play Speaking in Tongues has been seen throughout Australia as well as in Europe and the US and Bovell adapted it for the screen as Lantana. Both the play and screenplay have been published by Currency along with After Dinner, Holy Day, Scenes from a Separation (written with Hannie Rayson), When the Rain Stops Falling and Who’s Afraid of the Working Class?, written with Patricia Cornelius, Melissa Reeves, Christos Tsiolkas and Irene Vela. He currently lives in South Australia.